The stories in Gary Lutz’s first three collections often derive their linguistic energy from a narrator’s imprisonment in an ill-fated marriage, a soul-crushing job, or a body that causes more anxiety than joy. His most recent collection, Divorcer, continues to worry at the subject of confinement. Narrators make frequent reference to the inescapable dictates of their DNA: “I wasn’t foremost even in my body,” one says, “where my parents spoke themselves up out of my disposition.” Time, too, seems to resemble a cage: “One day got chocked into the next: there was a blockiness to time, like a month’s evident rectangulation on a calendar tacked fast to a wall.” (“I Have to Feel Halved”) Hours get “razored into ever keener minutes that [can] barely cut anything away.” (“Middleton”) Evenings are “narrowing”; sleep is “unramifying” (“To Whom Might I Have Concerned?”). Lutz’s stories have the urgency of a phone call made just before a plane crash. His narrators live in existences that, claustrophobic to begin with, are now closing in on them even more. They have no time for small talk or pleasantries. This could be the ur-complaint of the Lutzian narrator: it’s all you can do to keep yourself from repeating it. Ideas and images recur in these stories, not, I would submit, from any lack of authorial imagination, but rather from the nature of the linguistic problems Lutz foregrounds: the way using words is always a bit like wearing someone else’s clothes, fitting yourself to forms itchy and ill-fitting, one size fits nobody. Escape from the confinement of being one of many “heinous human whole[s]” comes in Lutz’s stories from a focus on the most microscopic of particulars, the skin cells and morphemes that make up these larger imprisoning systems. Because maybe the worst thing about the prisons in which we’re trapped – the confinements of self and of language that I’m trying to talk about here – is that we can never get far enough away to get a good look at them. As Wittgenstein noted in his Tractatus, the eye that sees is never included in a person’s field of vision. (Tractatus 69, 5.6333) I can’t get far enough away from myself to really see me. Same with anyone I get at all close to. They’re too close for me to make any sense of them. But. But. We can examine little scraps. The narrator of “To Whom Might I Have Concerned” says of his lover, “She was immured in a personality… and spoke to me only as if through fissures in it.” These fissures are the pivots on which Divorcer’s narratives turn, the little openings in which characters have the chance to smuggle something out between the bars of their cages. These smugglings must of necessity be small: a hair left on a bar of soap, skin cells shed on the pages of a book, a particular packet of words. Lutz’s often-noted preoccupation with arms begins to make more sense in this light: arms are the parts of ourselves best able to slip between the bars of a cage. The narrator of “I Have to Feel Halved” complains of a younger lover that “I never got the truth out of him, only things peeled off from the truth, things the truth had shed.” This is the problem with all reviews: the book, if it is good, is probably smarter than its author, smarter than the reviewer, and an attempt to summarize it will inevitably fail. All I can offer are little sheddings, little things peeled off from the experience of reading Lutz. But this doesn’t stop people from trying to talk about books, about language, about the effects of particular groups of words on a reader’s consciousness. Which suggests, I think, that we’re not too different from Lutz’s narrators. We may have little hope of being able to break free from our personal restrictions – biology, personality, habits personal and linguistic. But we seem to believe, nonetheless, that we might every now and then be able to smuggle a little scrap of something meaningful out into the world – some crumbs left between the pages of a book; some collection of words put to new and unexpected use; some gift proffered by an arm stretched through the bars of its cage, as far as it can reach. SHANNON ELDERON lives in the San Francisco Bay Area. Her reviews have appeared on The Rumpus and The Millions. Thanks for this fine review, Shannon. 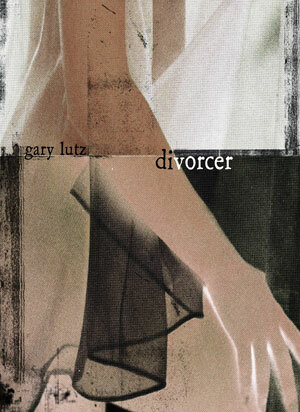 No doubt my Lutz odyssey will continue, and with Divorcer, very soon. Glad you liked it! “I Looked Alive” is amazing. There is also a nice new interview with Lutz up on the Paris Review’s website: http://tinyurl.com/75zzern. For some reason, I just hadn’t thought of him in some time. Slipped off my radar. So thanks for the reminder. Gonna add his latest to my list.